are uniting around a plan to bring toll roads to Wisconsin. I cannot imagine leaving such an important matter to a group with more flaws, failures and flat-out contradictions. - - to memorialize other truths and connections at this critical moment. * For the record, several of the major highway projects which are straining taxpayers and budgets make up the partially-completed, $6 billion+ Southeast Wisconsin Regional Freeway [Sic] System reconstruction and expansion package recommended by a seven-county regional planning committee. * One of those segments, fast-tracked recently with scarce transportation funding, is the North-South I-94 project in the Racine County'Foxconn project area championed by newly-minted tollroad backer Robin Vos. * The projected bill for the entire SE 'freeway' plan got run up by about 12%, or $750 million, with the addition of a contentious extra 19 lane miles through the City of Milwaukee recommended on the motion of then-Milwaukee County Executive Scott Walker, with the support of the MMAC's Sheehy. I remind everyone that toll roads often lead to lucrative private sector management contracting, which leads to full privatization with negative consequences for taxpayers. Having overspent on excessive projects, borrowed to the hilt and refused to repair the roads and bridges we have, of course Walker and his road-builder obeisant legislative crew would talk up their new love: toll roads. Walker is tying his trial balloon interest in tolls to matching tax reductions elsewhere - - thus keeping his calculated distance, because, hey, he's running for re-election and saying, basically, 'don't put that Illinois toll road stink on me' - - thus signaling support for further shrinking the public sector and boosting service privatization that will make his donors even happier. But don't think for a minute that tolling is any kind of statewide transportation panacea. You can bet that any new federal money coming to Wisconsin for road purposes would underwrite some or all of what the state is borrowing to pay for Foxconn-related road construction at the already-heavily-subsidized Foxconn site. How does that get your potholes filled, your local and arterial streets repaved, and the nearby bridge repaired to a reasonable safety standard? And don't think that even a quick approval of tolling would do anything but allow the ruling GOP to pose as problem-solvers at election time after years of willful, self-serving procrastination. Any plan for toll roads would take at least four years to implement, the study found. It estimates upfront capital costs for tolling Wisconsin’s interstates would range between $350 million and $400 million. And for every highway segment tolled, expect nearby local roads to absorb increased traffic avoiding the pay-as-you-drive electronic charges, thus congesting and wearing out those routes even faster. Who will pay for those resulting repairs? And don't forget that tolling entices privatization, which led to a debacle in Indiana, and separately, to higher Skyway tolls and parking fees in Chicago. And does anyone think the local-control haters running state government these days would fairly bring cities, villages, towns and counties into the tolling revenue streams, or consider tolling's distorted impacts on low-income motorists? The budget-breaking/never-ending cycle of ignore-build-ignore-repair-expand-repair-ignore some more will not end until the state frees itself from the clutches of self-interested road-building combines and gets serious about investments in a fix-it-first philosophy no different than putting a new roof on your house before adding an addition..
And commits to congestion's best friend - - modern, accessible transit - - which provides options for a rapidly-aging, driving-avoiding population. All of which requires a completely different type of governance that is dedicated to public, not special interest service. 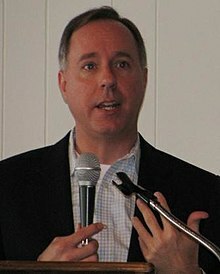 We'll only get get more of what we have, but at higher social and fiscal costs along with a wider, deeper donor trough, if we leave the mess to Walker, GOP Assembly Speaker Robin Vos, and GOP Senate Majority leader Scott Fitzgerald whose permanent, one-dimensional political careers have been funded by road-builders and related special interests. They couldn't get this passed under Walker. Why would they be able to pass it under Evers?